Do you have space problems? Foldecity is the solution proposed by Benelli to have your favourite two-wheels always with you. The flexible Pedelec, compact and small, can be inserted both into the trunk of your car, aboard a subway or train, with ease. It has an extremely low weight of only 22 kg and a small size, thanks to the 20 inch wheels able to ensure stability and safety, even in the toughest conditions. Foldecity offers four levels of pedal assistance for each type of route, in urban or suburban streets, for a maximum speed of 25km/h and range of 50km. 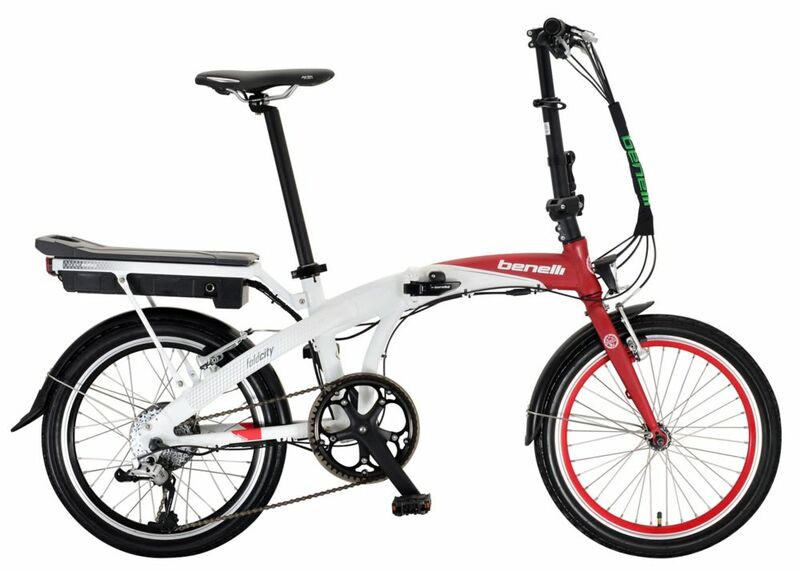 Foldecity 20-inch Red/White Electric Bike Do you have space problems? Foldecity is the solution proposed by Benelli to have your favourite two-wheels always with you. The flexible Pedelec, compact and small, can be inserted both into the trunk of your car, aboard a subway or train, with ease. It has an extremely low weight of only 22 kg and a small size, thanks to the 20 inch wheels able to ensure stability and safety, even in the toughest conditions. Foldecity offers four levels of pedal assistance for each type of route, in urban or suburban streets, for a maximum speed of 25km/h and range of 50km.